Tell us about your current novel. There are a couple of things that will become available soon. 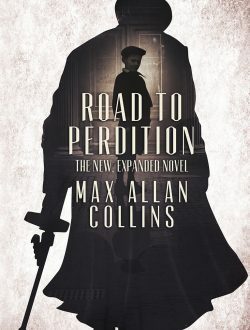 One is the complete version of the ROAD TO PERDITION novel. It was written in 2002 to accompany the release of the film, but DreamWorks licensing made me do a drastic cutting/rewrite, eliminating 30,000 words and any dialogue or action that wasn’t included in the book. 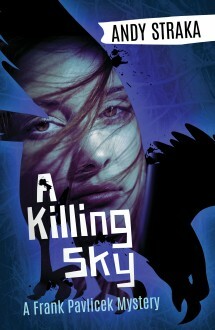 I am very grateful to Brash Books for negotiating with DreamWorks for the real, complete novel to finally be published. About the same time, Hard Case Crime will be bringing out QUARRY IN THE BLACK, obviously a new Quarry novel with what I think or hope is an interesting setting — George McGovern’s presidential campaign and a black leader in St. Louis who is supporting that ticket with public appearances. If you ever wanted to see how Quarry would behave at a Ku Klux Klan meeting, now is your chance. And Otto Penzler is bringing out A LONG TIME DEAD, collecting eight Mike Hammer short stories that I developed from Spillane fragments. That’s exciting in part because there’s never been a Hammer short story collection before. Can you give a sense of what you’re working on now? I just finished a Mike Hammer novel, THE WILL TO KILL, working from a few chapters in Mickey Spillane’s files. It’s very unusual for a Hammer, because the mystery is right out of Agatha Christie, with greedy children fighting over the proceeds of a murdered patriarch’s estate. Not too long before that, I did my pass on the new Barbara Allan mystery, ANTIQUES FRAME, co-written with my wife Barb. That was my first project after open-heart surgery and a minor stroke, and it was very gratifying to be able to get back up on the horse and ride so quickly. just weeks after the surgery. Next up is EXECUTIVE ORDER, the third Reeder and Rogers political thriller, in collaboration with Matt Clemens. What is the greatest pleasure of a writing career? The greatest pleasure of a writing career is having one. The notion that I could ever hold down a normal job is highly suspect. What is the greatest DISpleasure? I don’t know if there’s a dis-pleasure for me. I really love this life. The things that frustrate me are minor in the bigger picture. For example, I despise having copy editors rewrite me, and have spent way too much time in my life putting various Humpty Dumptys back together. It’s always disappointing when a novel is critically ignored or particularly when the public ignores it. When a publisher drops a series, it can be crushing—I had to wait ten years before I felt I could re-launch Nathan Heller, and a lot of time was lost there. If you have one piece of advice for the publishing world, what is it? For the publishing world itself? Don’t judge an author by how well his or her last book sold. Judge each book on its own merits, and that includes proposed novels from authors whose professionalism isn’t in question. Are there two or three forgotten mystery writers you’d like to see in print again? So many of my favorites are back in print again in the POD and e-book fashion. But it would be nice to see Horace McCoy, Mike Roscoe and Roy Huggins out there in a more major way. I was pleased to see Ennis Willie finally get some attention, but unfortunately it’s faded somewhat. Tell us about selling your first novel. Most writers never forget that moment. When a Congressman's daughter disappears, Charlottesville P.I. and falconer Frank Pavlicek follows a trail of family secrets to the most dangerous discovery of all--the truth. Second novel in the hit series.